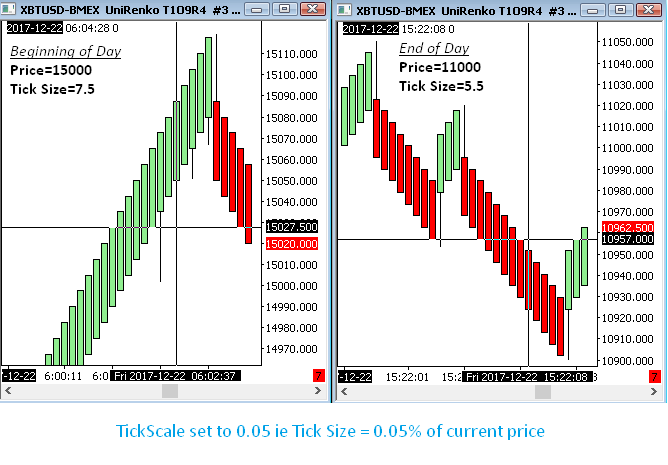 These bars use the UniRenko algorithm available for NinjaTrader as it was published on the futures.io forum, however they have a couple more advanced features, specially for using trading on cryptocurrency exchanges like Bitmex. 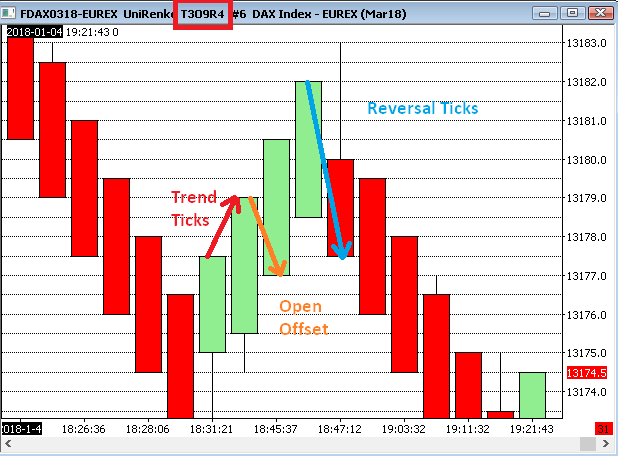 These bars were developed mainly to because it was felt there was a need to be able to continuously change the Tick Size of the charts in order to be able to trade using Renko bars on Bitmex. Selectable choice of altering Close, Open, Both, Or None. Depending of your preferences, you can choose to alter the price (set a "fake" price) on the Open, the Close, both , or None. 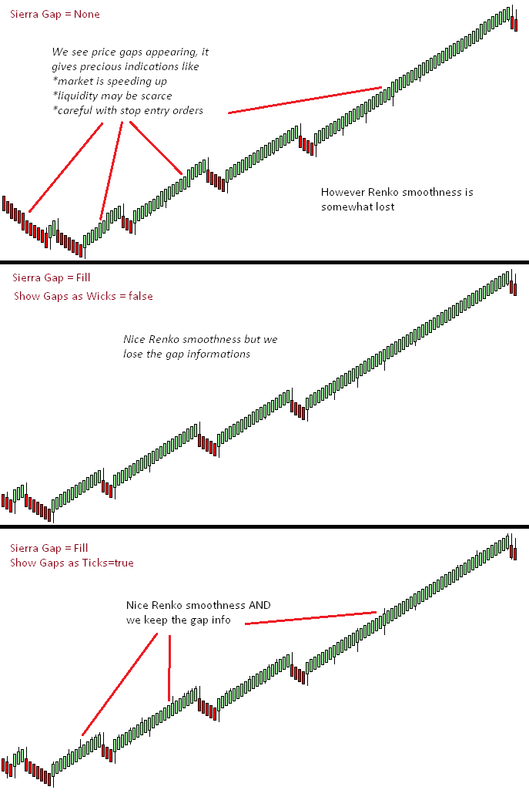 Price gaps provide interesting information ; you can choose to keep the price untouched and see the gaps, or use Sierra Chart Gap Fill to have the platform fill up the missing prices. However, if the fill option is chosen, you can choose to visualize the gaps as opposite wicks. 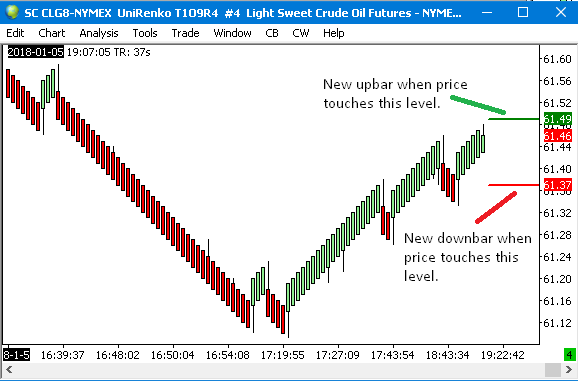 The Gom Renko Next Bar Level study will show on a chart at which price levels a new GomRenko Bar is created. 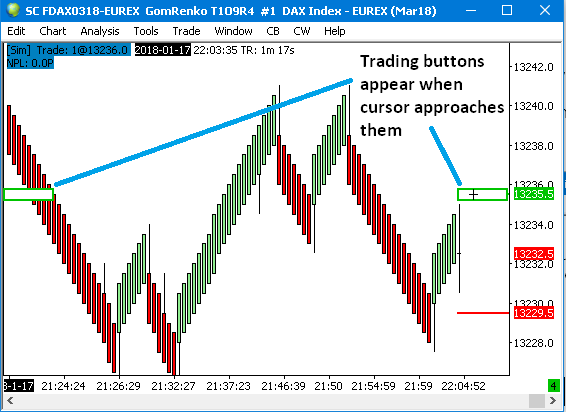 This can be useful for stop entries , when you want to enter with momentum in your direction, on the creation of a new GomRenko bar. If the value is 1, nothing special happens. Offset of the next level bars. Size of the next level bars.